I have to apologize for the almost three month hiatus I’ve taken from blogging my favourite recipes. I promise I have a good excuse! I haven’t really been feeling myself, and since about mid- December, I’ve had a hard time looking at food, let alone cooking it and blogging! You see, we’re expecting a baby in the kitchen, due August 2014! Now that I’m almost feeling back to myself, I thought I’d give chutzpahinthekitchen the attention it deserves. Since my palate has changed drastically since the first trimester nausea set in, my wonderful husband has been doing 99% of the cooking, and I needed some inspiration for this blog post. 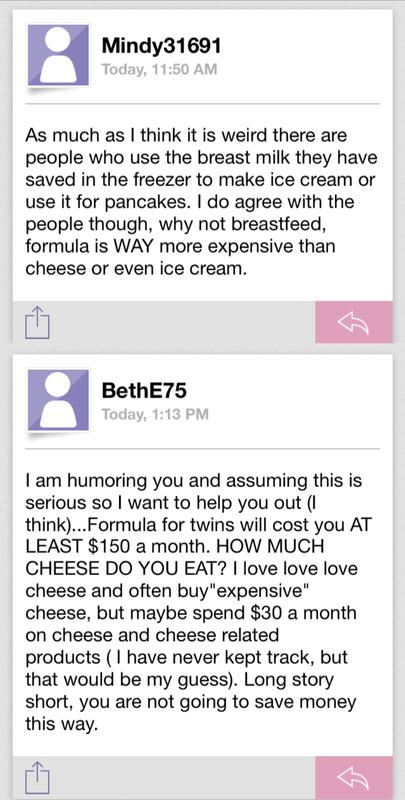 I promise that you don’t have to make your own cheese for this one, and no breast milk is required! Preheat oven to 375°F. Spray a 9 x 13 pan with PAM or olive oil. Cook macaroni as directed on the package until tender, drain and set aside. 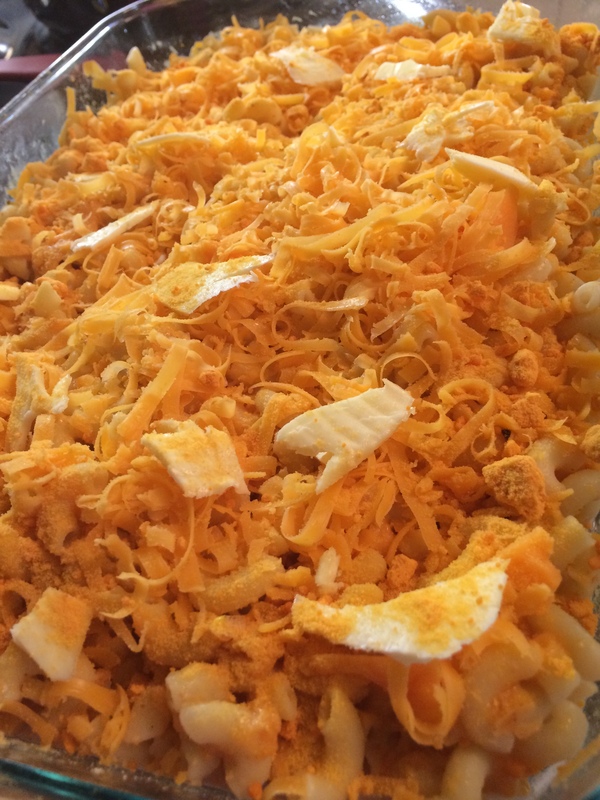 Combine 2 cups of shredded cheese with dry ingredients (flour, ground mustard, grated cheese, salt and pepper). Combine cheese mixture with hot macaroni and pour into the greased pan. Pour milk over macaroni. Top with remaining 1 cup of shredded cheese and additional grated if you like, and dot with butter (optional). Bake for 45 minutes or until firm and golden brown. Let sit for 5 – 10 minutes before serving to allow milk to firm. 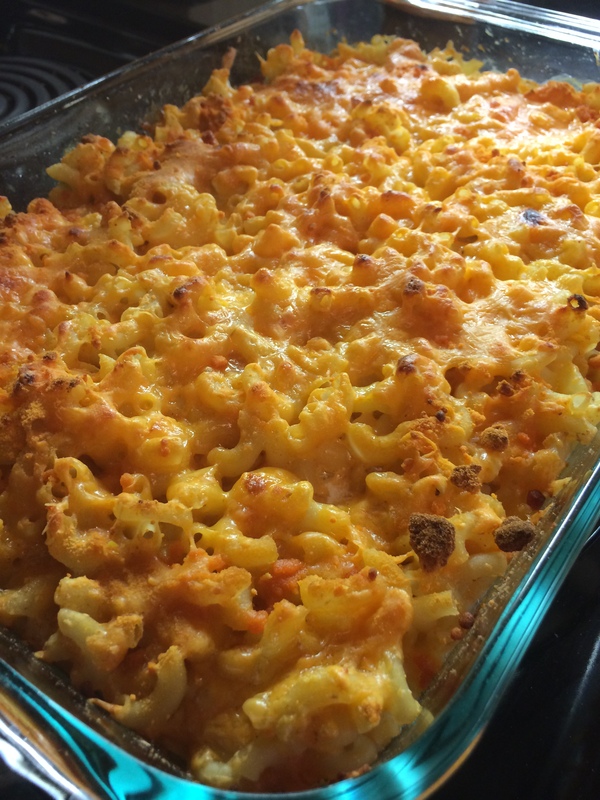 If you like a really cheesy macaroni, feel free to add more cheese!